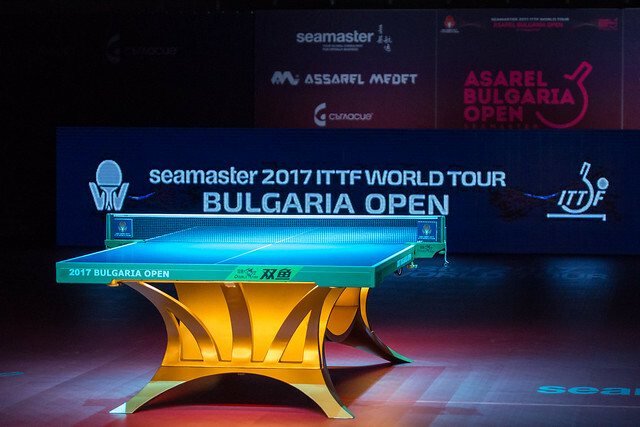 Places in the main draw to be decided and the first titles to be awarded; such is the scenario in Panagyrurishte as the qualification phase for the Seamaster 2017 ITTF World Tour Asarel Bulgaria Open concludes Wednesday 16th August. At the close of play, the names of the players who will compete in the Men’s Singles, Women’s Singles, Men’s Doubles and Women’s Doubles events will be known, as will the winners of the Under 21 Women’s Singles event. In both the Under 21 Men’s Singles and Under 21 Women’s Singles competitions, Japan is guaranteed a place in the final; in fact in the latter it is only the small Caribbean island of Puerto Rico that stands between Japan and the top two steps of the podium. Adriana Diaz, the no.3 seed meets Miyu Maeda, the no.2 seed; a contest which is very much a measure of the extent to which the young lady from Utuado has improved. They met at the quarter-final stage of the Women’s Singles event at 2015 United States Open; on that occasion Miyu Maeda won in four straight games. Either Kyoka Kato, the top seed; or Mizuki Morizono, the no.4 seed, the cousin of Masataka and Misaki Morizono, awaits in the final. An all Japanese Under 21 Women’s Singles semi-final; it is the same in the Under 21 Men’s Singles event, the only difference being that either the Czech Republic or India will prove the opponents in the final. Mizuki Oikawa, the no.2 seed, meets Yuma Tsuboi, the no.4 seed. In the opposite half of the draw, the star man on the first day of play, India’s Manav Vikask Thakkar, the no.26 seed, opposes, the Czech Republic’s Tomas Polanksy, the no.5 seed. Notably, Tomas Polansky and Manav Vikash Thakkar met on two occasions at the 2016 Polish Junior and Cadet Open; Tomas Polansky won both contests. He emerged successful in the first phase of the Junior Boys’ Team event and later in the Junior Boys’ Singles final. Meanwhile, in the Men’s Singles qualification tournament, local eyes focus very much on Petko Gabrovski, Petyo Krastev and Stansislav Golovanov; all three remained unbeaten on the opening day. In their concluding group matches, Petko Gabrovski plays India’s Sathiyan Gnanasekaran, Petyo Krastev opposes Slovakia’s Lubomir Pistej, Stansislav Golovanov confronts the Czech Republic’s Tomas Tregler. However, victory and first place in the group does not guarantee a main draw place, a preliminary round beckons. Only players finishing in top spot in the first two groups secure main draw berths; players in the remaining 28 groups compete in the preliminary round. Alas for Bulgaria, no female player remained unbeaten on day one of Women’s Singles qualification. Players finishing in first place in each of the 16 groups earn a main draw place.